I love that song... and I have to agree...sometimes you've got to roll with it baby, soak it up and take it all in. And this month my friends... that is just what I am doing! As many of you may know, I was featured by the New York Times and Ruth LaFerla as one of seven Grandmas's of Instagram. It is still surreal to me but I am ever grateful to have been included with these fabulous women. A high school girlfriend in Tampa sent me her newspaper from Tampa and I was smack dab on the fashion page. This is the same girlfriend that worked with me in my Dad's chicken restaurant, Mr. Drumstick. (We wore white uniforms with orange and white striped aprons... truly not a glamorous start.) Ha. Since then, I have been featured by Charlotte Stories here and CharlotteFive here, Darla Desiderio, both wonderful features, as well as on a live radio interview by Patti Mercer, in Fort Mill, SC where I reside. 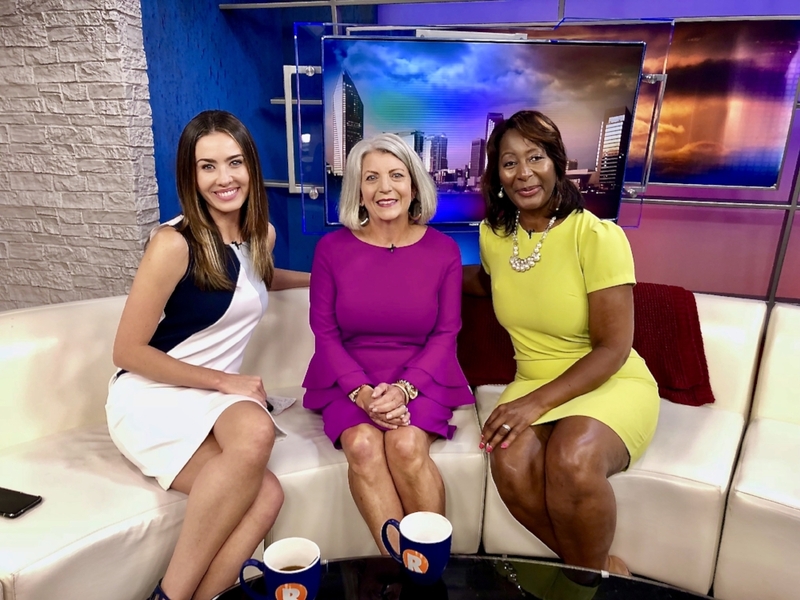 You can imagine my excitement when a Charlotte TV station asked me to join them on their morning show and tell my story about age positivity as well. I thoroughly enjoyed Tonya Rivens and Julianna White... they made it so much fun. I felt like I was sitting down with friends. What a great experience. You can watch the interview here. Please know that I am not tooting my horn, rather I am sharing what is possible for anyone at any age. You can do anything! And I am here to support and tell you that the time is right, grab it, hold onto it, create it, do what you want and most importantly... roll with it, baby!